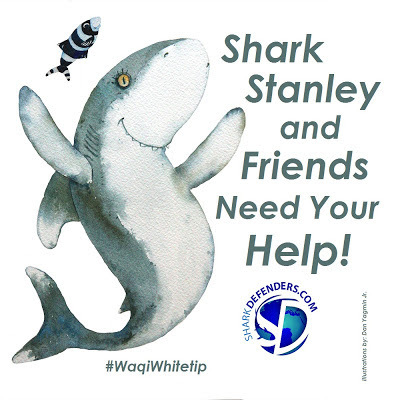 Shark Defenders: Introducing Waqi Whitetip! Waqi Whitetip and her pilot fish sidekick Pipa have joined Shark Stanley and his friends on their campaign! Now all of the species of sharks and manta rays proposed for Appendix II listing at the Convention on International Trade in Endangered Species in March are together and they’ve told us that nothing can stop them from making sure they’re protected this year! You can help Waqi with her mission by printing this picture of her, cutting it out and taking a photo with her wherever you wish. Shark Defenders is compiling these photos from all over the world into a unique petition which we’ll send to governments voting at CITES. Visit Shark Stanley's Homepage for Downloads of all his friends. I’m known for my distinctive large, round, white-tipped dorsal fin and wing like pectoral fins. I’m an open ocean shark: in fact, I’m one of the most widespread species of sharks and can be found all throughout the tropical and warmer areas of temperate seas. You can usually find me cruising slowly near the top of the water column, covering huge tracts of the ocean as I search for food. I’m not very particular about what I eat; I’m more opportunistic than picky. We’re quite independent and solitary and aren’t really found around members of our own species. However, you’ll often see me with a pilot fish entourage, which make a living picking parasites off of me! Other friends that usually hang around me include remoras, mahi mahi and sea turtles. One thing that humans usually find really interesting is that sometimes we hang around with pilot whales, swimming around in their big pods. Scientists think this is because the whales help us find squid to eat when they dive to forage. I’m one of the most threated sharks out there. A recent estimated a population decline of 70% between 1992 and 2000. We were once one of the most abundant species of oceanic sharks, but sadly, not anymore. Our large fins are very valuable and as such, we’re Critically Endangered in the Northwest and Central Atlantic, and Vunerable worldwide due to the shark fin trade. Our populations also suffer because we are caught in large numbers as bycatch, especially by pelagic longlines. While we do have some protection under some of the regional fisheries management organizations, these do not regulate international trade or protect us throughout our whole range. CITES Appendix II listing was narrowly missed at the 2010 CITES meeting, needing only a few more votes for adoption. This year, I’m confident that it will pass: the proposal is both scientifically justified and absolutely necessary to make sure that trade is sustainable. 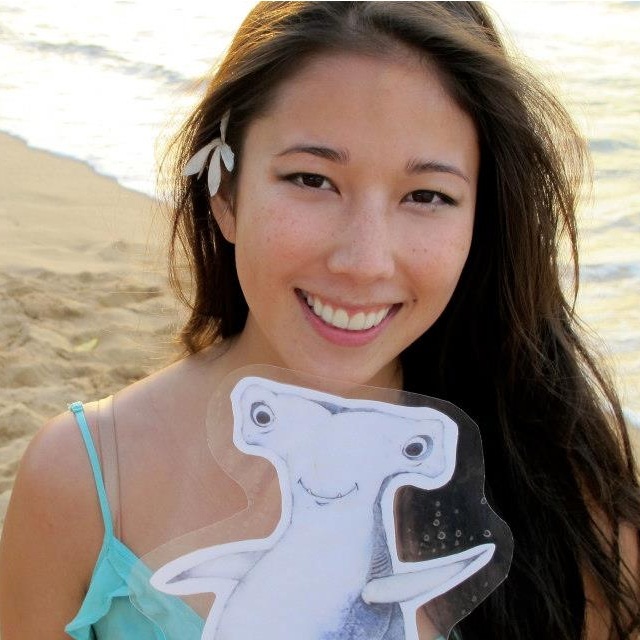 Join Shark Stanley, Manta Reina and Pierre le Porbeagle to make sure this proposal passes! Leah Meth is a masters student at the Yale School of Forestry and Environmental Studies and Contributing Editor at Shark Defenders.